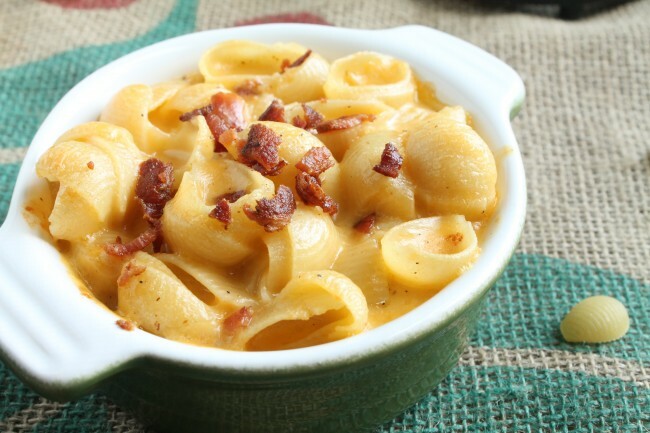 Happy Mac and Cheese Week Friday, everyone! (Today should have a cool TGIF acronym…TGIMACWF? …I’ll work on it). 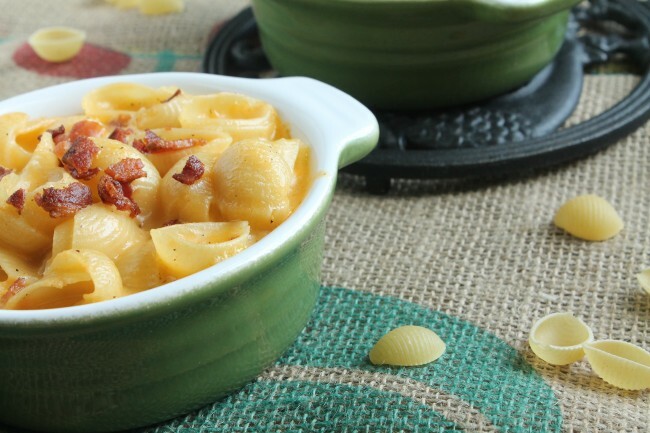 Today is one of my faaaavorites – hard apple cider mac and cheese! Today is the last (but most DEFINITELY not the least) of a weeklong tribute to the greatest comfort food in the world – macaroni and cheese. And it’s probably been my favorite week of all time. I’m thinking there should be themed weeks of posts more often…hmmm….so stay tuned. 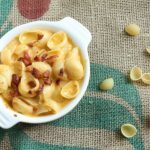 This recipe is one of my most-requested among the special few I’ve cooked it for, and although I try not to practice mac and cheese favoritism (all mac and cheese is excellent), this is (*gasp*) PROBABLY one of my top two favorite mac and cheese recipes. You wouldn’t think adding apple cider to pasta would blow your mind with deliciousness – but OH. IT DOES. Plus, it’s one more thing I get to put booze in. And you know how that makes me happy. 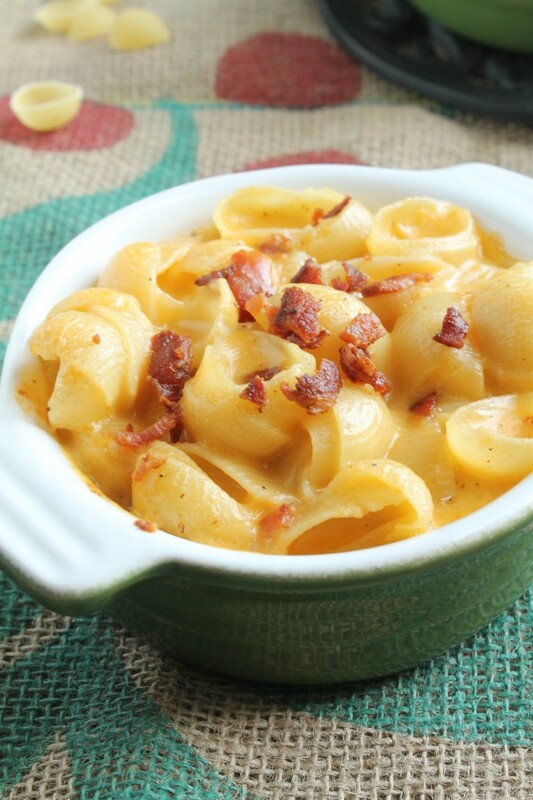 So, friends, from me to you – HAPPY MAC AND CHEESE WEEK. I hope you’ve enjoyed these five days of mac-and-chees-y-ness. I know I have. Now go make this for dinner! You SO won’t regret it. First, cook the bacon. I usually cook mine in the oven or on the stovetop. Chop the cooked bacon into small, “bacon bite” like pieces. Set aside. Whisk hard apple cider into the roux a little at a time until you’ve worked out all the lumps. Then whisk in milk. Bring sauce to a simmer and cook, stirring frequently, until sauce has thickened, about 6-8 minutes. Remove sauce from heat. Stir in cheddar cheese and mix until cheese has melted. Stir in pepper. Stir all but one handful of the bacon pieces into the sauce. 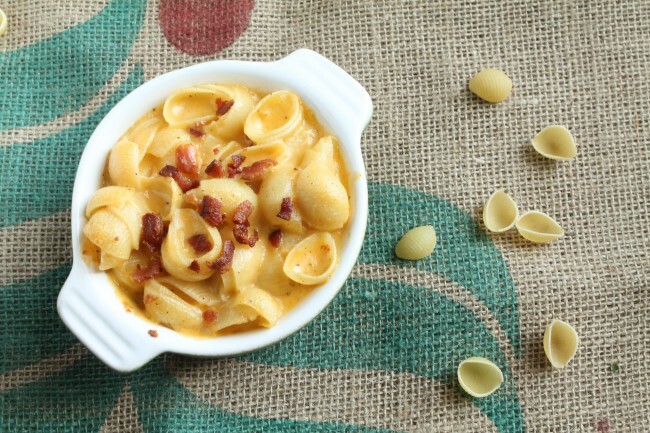 Set the extra handful of bacon aside for topping the pasta before you bake it. Stir pasta into sauce until all noodles are evenly coated. Pour pasta into a baking dish (you can use one large one, although I chose to use four smaller ones – up to you!) and top with the bacon you set aside. Bake at 375 for 20-25 minutes or until edges are crispy. MAC AND CHEESE WEEK LINEUP!!! Made this last night, for the first time: hubby and I couldn’t stop raving our MmmmMmmm noises over the deliciousness of this Mac & Cheese! I was honestly doing the happy dance in my kitchen. We improvised very generous amounts of sharp cheddar and swiss cheese, and used turkey bacon — and wondered how any one could ever return to eating the boxed stuff. I also improvised bread crumbs on top, mostly for presentation and added texture, as described in your Mac and Cheese 101 wisdom. What do you think if I made this the day before with the exception of the baking part, then baked it right before I served it the next day? Do you know if the alcohol will cook off enough to serve to children? The alcohol will never cook 100% out of a dish, but if you’re worried about alcohol content you could substitute regular apple cider or a good apple juice for the hard cider! I made this tonight and it is by far the best best mac and cheese I have ever had. I mean, made. SHH don’t tell my mom I said that…. Did u try this in a crockpot? Have pot luck and was thinking this would be a great dish! 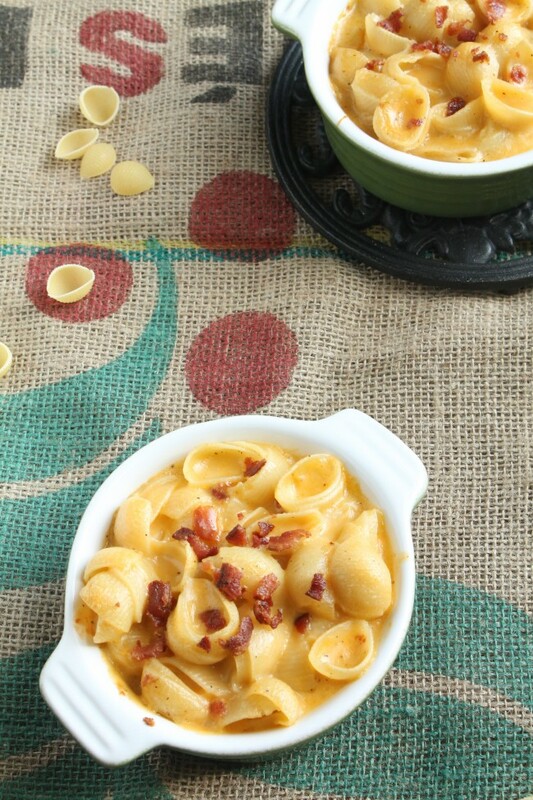 I have actually never tried mac and cheese in a crock pot, but it’s on my to-do list! If you try it, let me know how it turns out! I would recommend adding a bit more liquid to the sauce if you try it in a crock pot, since the pasta will soak up a lot of it as it cooks. Wahoo! I’m glad it turned out so well for you! And I’ve learned that if grandmothers tell you to cook something a certain way, it’s best not to mess with it 🙂 Thanks for letting me know how the mac and cheese turned out! 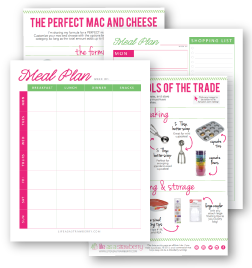 I was just thinking I should start a pinterest board just for Mac and Cheese recipes! This will be my first pin! Looks fabulous! I don’t mind at all! I just ask that if you share, you link back to my original post and make sure to give me photo credit if you use a picture of mine. Thanks! I’m glad you like the recipes! This is a really good mac and cheese. I loved the themed week!